Soon after lift-off at Jomo Kenyatta International Airport, the Fokker 50 failed to gain sufficient height until it hit an electricitiy pole and crashed into two commercial buildings in a populated district of the city. There were no survivors among the crew members. Two security guards on the ground were injured by the accident which took place in pre-dawn darkness. The aircraft was carrying a load of Khat, a mild stimulant which is very common in eastern Africa. Local weather at the time was reported good with excellent visibility and calm winds. 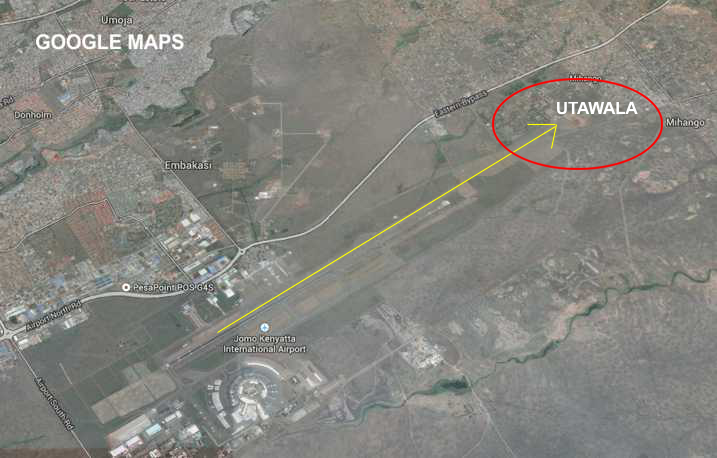 The aircraft made a safe belly landing at Nairobi-Jomo Kenyatta Intl Airport, leaving all on board unhurt.